Women who use birth control pills may have a poor judgement of subtle facial expressions, which could impact their intimate relationships, according to a study. The study, published in the journal Frontiers in Neuroscience, found that OCP users were nearly 10 per cent worse on average than non-users in deciphering the most enigmatic emotional expressions. 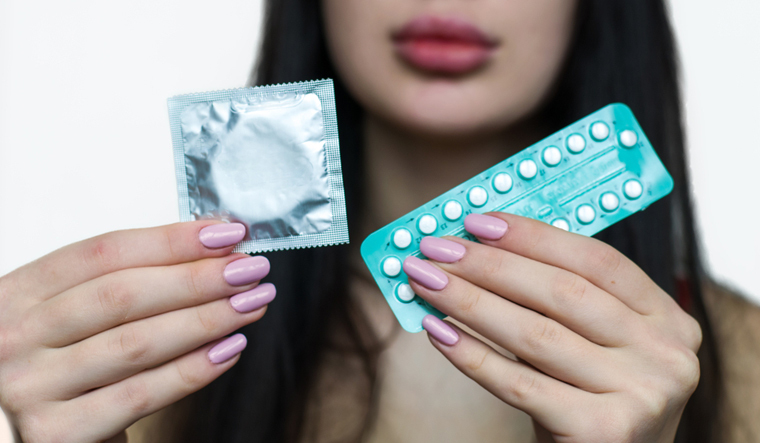 Besides birth control, hormonal contraceptives can help control acne, heavy periods and endometriosis—as well as reducing the risk of ovarian, uterine and colon cancers, the researchers said. "More than 100 million women worldwide use oral contraceptives, but remarkably little is known about their effects on emotion, cognition and behaviour," said Alexander Lischke of the University of Greifswald. "However, coincidental findings suggest that oral contraceptives impair the ability to recognise emotional expressions of others, which could affect the way users initiate and maintain intimate relationships," Lischke said. "If oral contraceptives caused dramatic impairments in women's emotion recognition, we would have probably noticed this in our everyday interactions with our partners," said Lischke. "We assumed that these impairments would be very subtle, indicating that we had to test women's emotion recognition with a task that was sensitive enough to detect such impairments," he said. The results were subtle—but very clear: OCP users were less accurate in the recognition of the most subtle complex expressions than non-users—by nearly 10 per cent, on average. "Whereas the groups were equally good at recognising easy expressions, the OCP users were less likely to correctly identify difficult expressions," Lischke said.